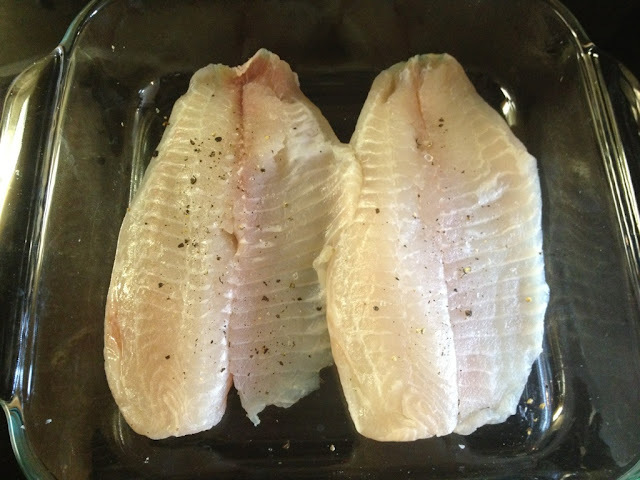 Tilapia is a mild white fish and can be very bland if not seasoned the right way. I found this recipe very easy to make and also a nice change to our usual fish dinners because this was more Asian-inspired. 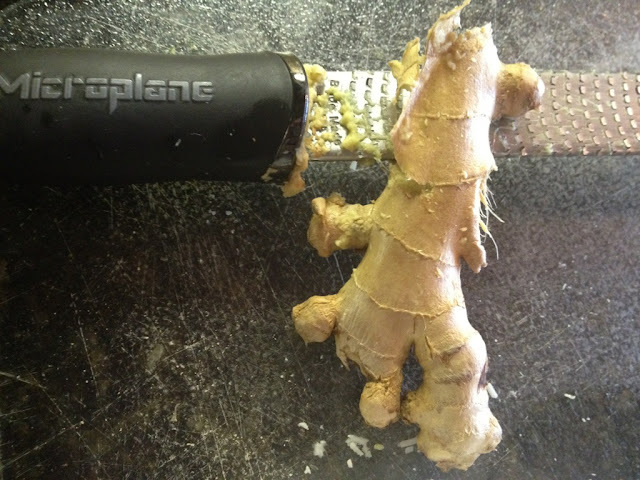 I did make a few adjustments to the original recipe because the ginger was very overpowering! 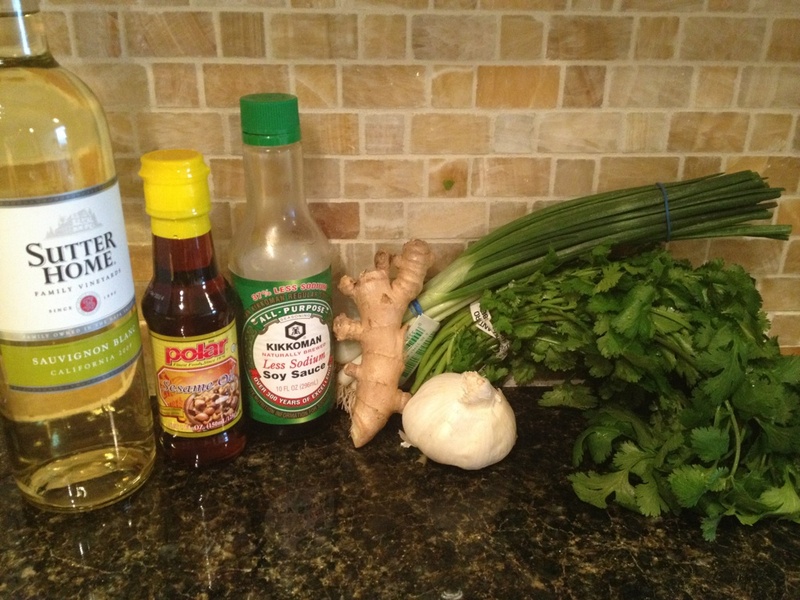 However, if you do not like ginger then you will not like this marinade. Preheat oven to 475 degrees. Season both sides of the tilapia with salt and pepper and place in a glass baking dish. Grate your fresh ginger if you have not already done so. Place your ginger, minced garlic and a dash of pepper in a mini food processor. 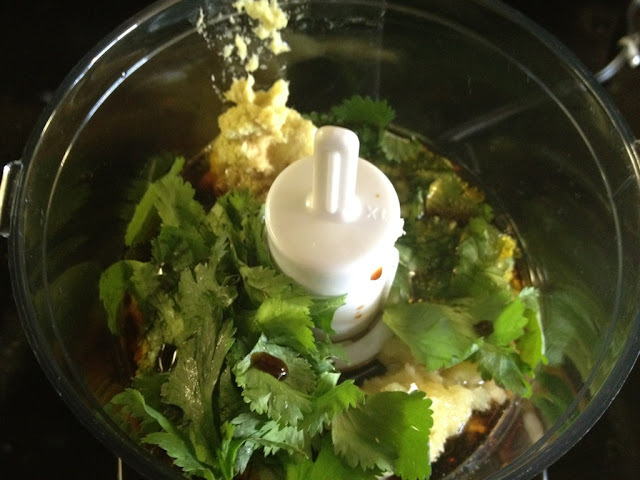 Add the soy sauce, white wine, sesame oil, and cilantro and blend on low until well-mixed. Pour the sauce over the fish. 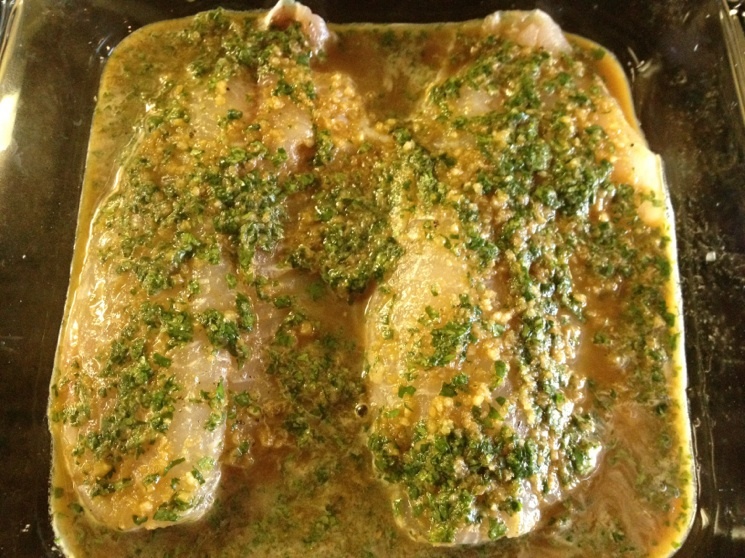 Bake for about 8 minutes or until the fish flakes and is cooked all the way through. Serve immediately over brown rice or long grain wild rice. 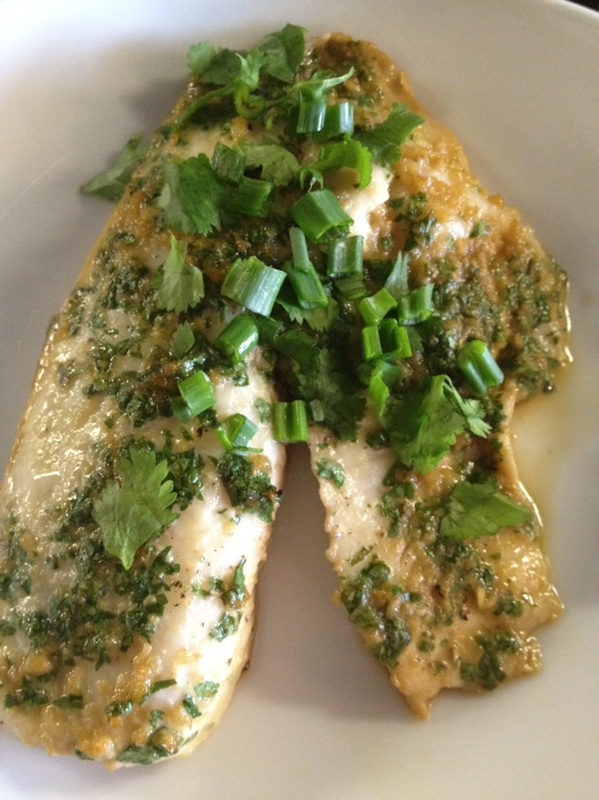 Garnish with cilantro and scallions. After I scooped the tilapia from the pan, I did not use the excess sauce that remained in the pan because the tilapia already had enough flavor. I also did not like the sauce on its own. This recipe is definitely different from your usual baked tilapia but if you like asian flavors, then you will enjoy this recipe!